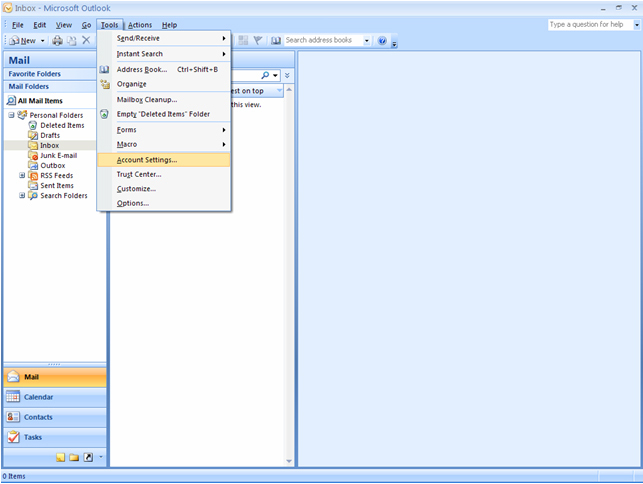 How to configure MS Outlook? 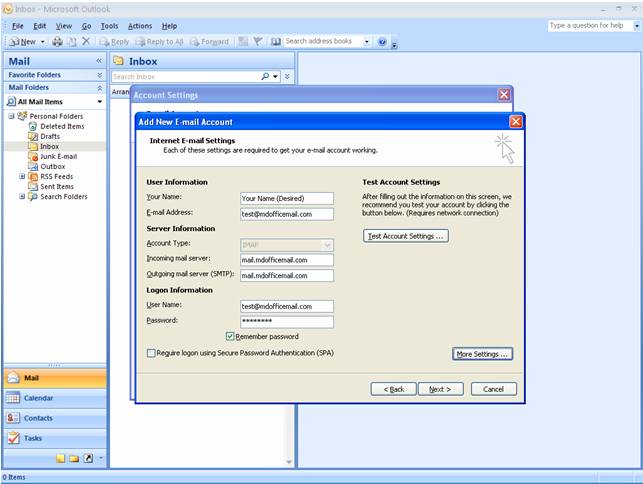 Note: Secure Domain Email Customers: If your secure email account with us uses a domain name other than mdofficemail.com, still you need to use mail.mdofficemail.com for incoming and outgoing mail servers. 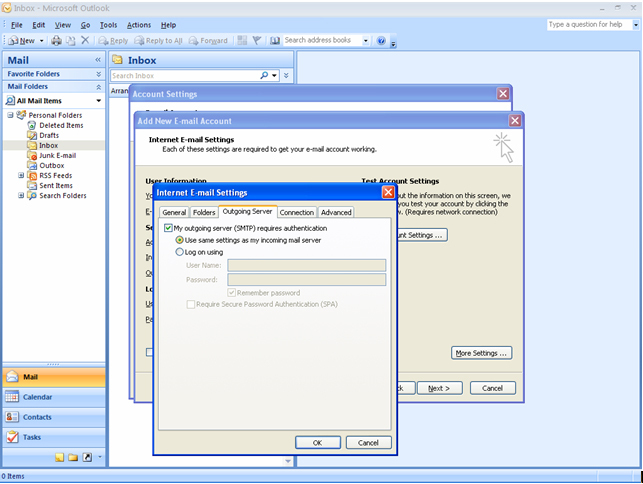 This document will help you to configure your Outlook 2007 Email client to work with the mail.mdofficemail.com Secure Email Server. 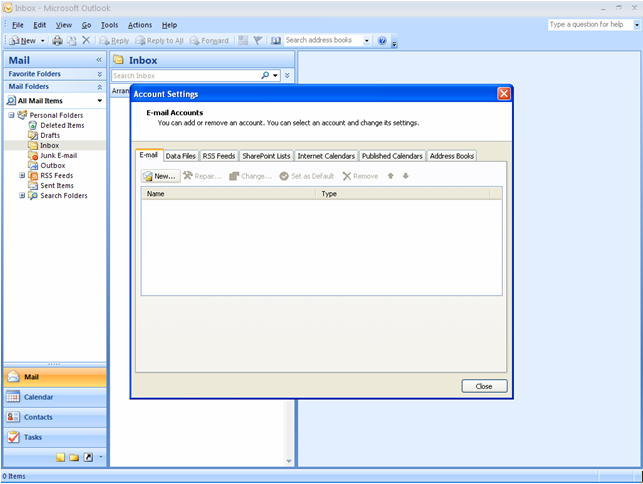 Select the "Tools" pull down menu and select "Account Settings." 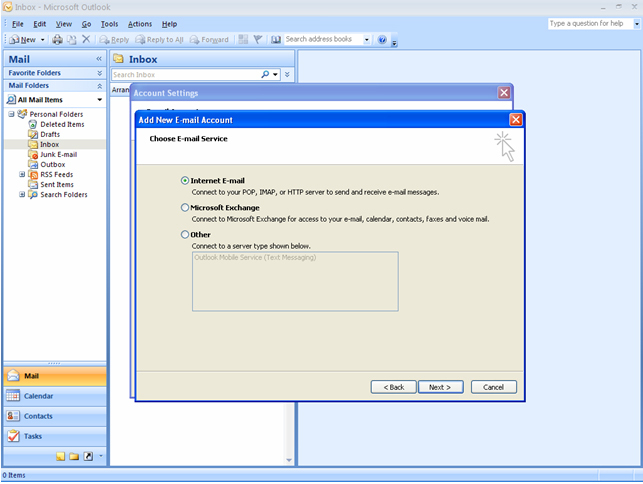 Step 2: Check “Manually configure server settings or additional server settings “and click Next. 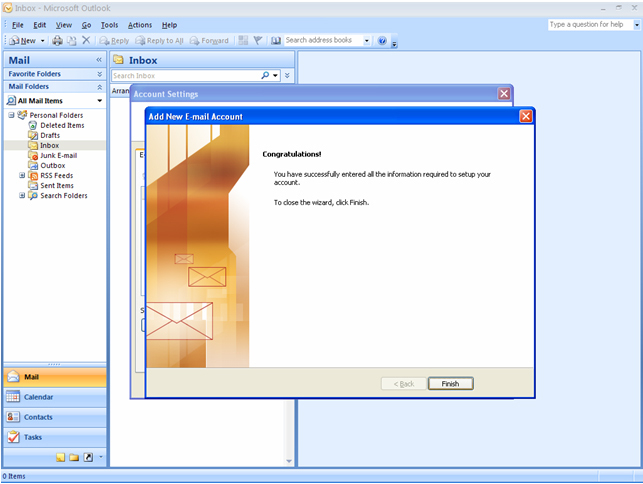 Step 3: Now Select Internet E-mail using the radio button and click Next. Important: Leave "Log on using Secure Password Authentication (SPA)" unchecked. 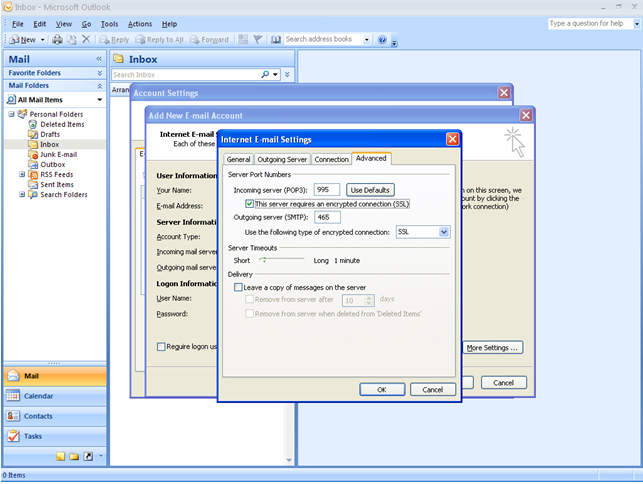 Check "This server requires a secure connection (SSL)" checkboxes for the incoming and outgoing servers. For technical support from Microsoft, please visit http://support.microsoft.com/default.aspx?scid=sz;[ln];top.